Our Outer Banks OBX Destination™ Classic Blanket! 62" x 80" 100% cotton, polyester filled, comforter. Made of soft and durable sweatshirt material this is a 12 panel stitched blanket with border. 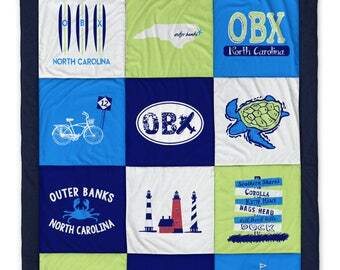 For lovers of this great location, the Outer Banks blanket tells a story of this popular North Carolina destination. 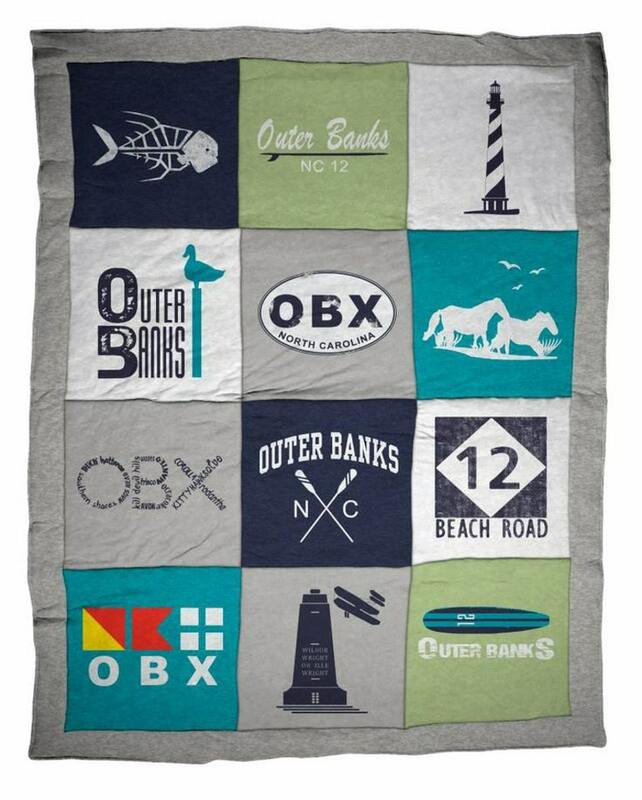 If you looking to wrap yourself in the Outer Banks all the time this blanket is for you! Bring Your Vacation Home! Awesome product, fast shipping! Thank you! !